Cell phones and tablets have become a very important part of our day to day lives. Keeping those devices charged and protected is top priority. We are always looking for the newest and most innovative products to do just that. We have many different types of tablet and phone accessories. Every device has different charging needs and we have the charger that fits your needs. From economy chargers to higher amp “quick” chargers and even new and innovative Qi chargers we are keeping you powered up! Battery Joe is an authorized Otter Box dealer offering you the ultimate in protection for your device. We also sell Ballistic and Trident cases providing you exactly the level of protection you want. We are also a certified Otter Box dealer! We are proud of our new line of laminated and tempered glad protectors for phones. These revolutionary new protectors apply easily to your existing screen and makes your glass nearly indestructible. They offer a high rate of scratch resistance and impact protection saving you from costly repairs. Of course if you want basic protection we also have a full line of film screen protectors. What is better than a fun new app on your phone or tablet? A great new accessory! We are always on the lookout for portable power banks, wireless keyboards, tablet holders, fun new stylus pens and all the cool little gadgets that help you get the most from your device. Stop in today and see what is new! 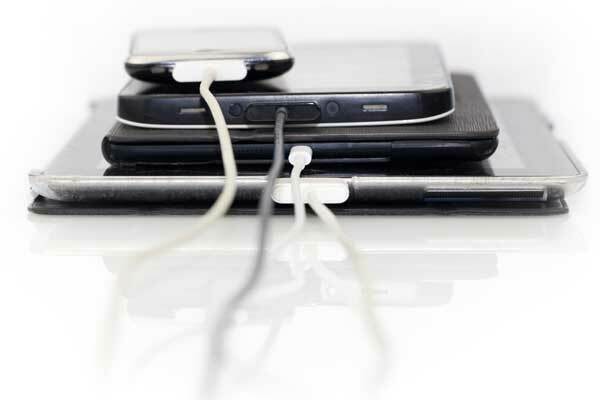 One of the leading cell phone troubles people ask us advice for is how to get their cell phone to stay charged longer. GPS, Facebook, Google, Email, Internet, Games, Etc… Eat power by the mouth full. So how do you get more battery than day? Avoid Car Chargers! Emergency use only. If you use one, unplug before starting your car engine. Starting can spike voltage to the battery. Do not use your phone while charging, heat kills batteries! When possible remove phone from charger when battery is full, do not charge more than 12 hours.